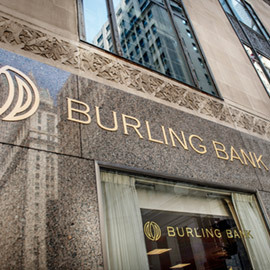 Burling Bank is pleased to provide two secure and user-friendly mobile banking products to our clients. From the palm of your hand, you can now do virtually all of your banking including transfer funds between Burling accounts, check balances, pay bills, and much more. The Burling Bank Mobile App is available to Burling Bank clients for use on their iPhone and Android devices. Please visit the App Store or Android Market to download the free App. We also have an app available for iPad here. We also offer the MobiMoney app, which is a comprehensive smartphone solution that makes it simple to manage your debit card on the go. MobiMoney offers fraud protection features like instant account alerts based on your preferences, location and spending controls, receipt organization, and more to help you efficiently and safely monitor your debit card. Watch the MobiMoney overview video below.